Paul Merson believes Xherdan Shaqiri could prove to be one of the wisest pieces of transfer business this summer. 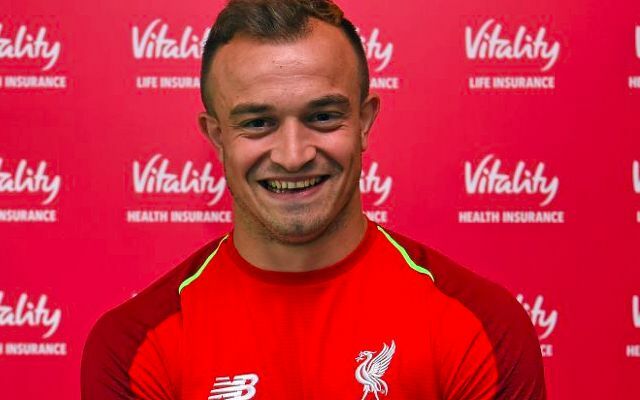 The Swiss international has teased an underestimated importance at Liverpool with a superb pre-season after signing from Stoke City. Shaqiri arrived for what looks to be a bargain fee of £13million, and has since raised eyebrows with an encouraging audition as an asset in both wider and central attacking positions. A stunning overhead kick against Manchester United has been the pick of his contributions so far, not to mention a perfectly-weighted cross to assist Daniel Sturridge against Torino. Liverpool’s failure to sign an orthodox replacement for Philippe Coutinho has carved an opening for Shaqiri to play a key role this season. The 26-year-old serves as much-needed strength in depth in wider areas, with a blend of scoring prowess and invention capable of slotting in for the likes of Mohamed Salah and Sadio Mane when necessary. His tendency to cut inside and operate centrally can also see him help fill the club’s no.10 void as a feeder to the runs of the Reds’ front three. Using him as a central playmaker would prove a valuable ploy in drawing defenders out of position as a means of breaching compact setups. He may not be a regular starter, but Shaqiri will be another source of flexibility for Klopp to make good use of.